A word on celebrating “real bodies”. With the recent ads in magazines, campaigns for “real beauty”, and the emergence of “normal Barbie”…I want to say something on my humble, digital soapbox. I find it irritating when being overweight is celebrated. It’s understood that the celebration has good intentions and a victory over torture and the inability to identify with what society deems a “normal body”. However, going to the complete opposite of the spectrum is not the right approach. It’s no secret that being overweight entails health consequences. I wouldn’t say “get it, girl!” to a smoker refusing to quit. Refusing to applaud to the acceptance and celebration of being overweight should not be treated with horror and frowns. It perpetuates the problem of a host of health issues this country has without addressing the issue it is trying to fix, which is to put an end to the ridicule and the feelings of being ostracized anomalies in (what tries to appear) a world of runway models. I think it’s a good start to build awareness of the different (and unique) flaws we all possess. This however, must be done by celebrating the best each unique individual can be. Yes, it is important to show that being big is NOT abnormal. Stretch marks are NOT abnormal. Cellulite is NOT abnormal. The same way someone shouldn’t be ridiculed about their poverty or broken limbs, an overweight person should not be treated like an anomaly. It’s cruel and ignorant. No one is flawless. And there are a vast number of reasons for weight gain; not just “laziness”. We just need to put an emphasis on individuality and healthy choices. A small boned person will never have thick, killer thighs like Ciara or Beyonce. A big boned person will never have a teensy waist or long thin legs like Miranda Kerr. SO WHAT?! 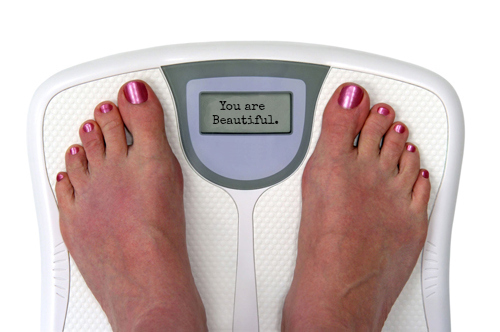 Celebrate whatever shape/size/height you are when you are at your best. Celebrate your freckles. Not your sun damage. Celebrate your body. Not your fat. There is a difference. Celebrate the features that make you YOU; not the features that hide them. Your fat is not a part of what makes you, you. And neither is that unhealthy, waif-like look you got from fasting or drugs. We need to teach our children about healthy choices, individuality, and above all, respect; so we can all stop worrying about what stage of the journey other people are at. ~ by Keira Dazi on August 2, 2013.